The Object Packs (and Christmas/Yule Packs) were released by Cyberlife/Creature Labs as free downloads containing additional COBs/agents. Larger updates, included in the Life Kits, were not (initially) free. 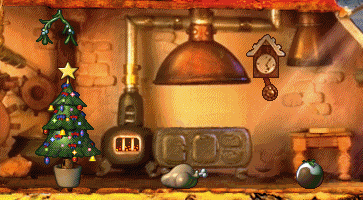 It also contained the first (breed slot 3) Santa Norn. It also contained the C1 Santa Norn '97 (breed slot 7). The Hallowe'en Pack contained many spooky COBs for C2. It also contained the C2 Santa Norn. This page was last modified on 27 October 2018, at 18:44.